The layout of your office is like organizing your cd’s. If you don’t keep them in a case they will be scratched and eventually useless. Same goes for employees not perform their jobs when their work space is not in order. Before you begin an office redesign, think about the types of tasks employees perform in the space. 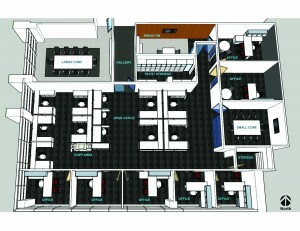 A good office design is not only functional, but provides comfortable work areas for your staff. Hiring an Architect will assist you in the most efficient and productive space; whether it’s for a new building, revising your existing space or determining if a new space you are considering to rent works. The time planning is important considering that you will be using that space for years to come. A comfortable Lounge Spaces in your office layout provides staff with places to meet, collaborate or decompress from the office environment and recharge. By all means don’t make it too task oriented like adding furniture that has the same height as the desk they have just left for the last 3 hours. You want to go beyond a bean bag chair of course. Something casual with an edge. Not too comfortable so they just go to sleep either. 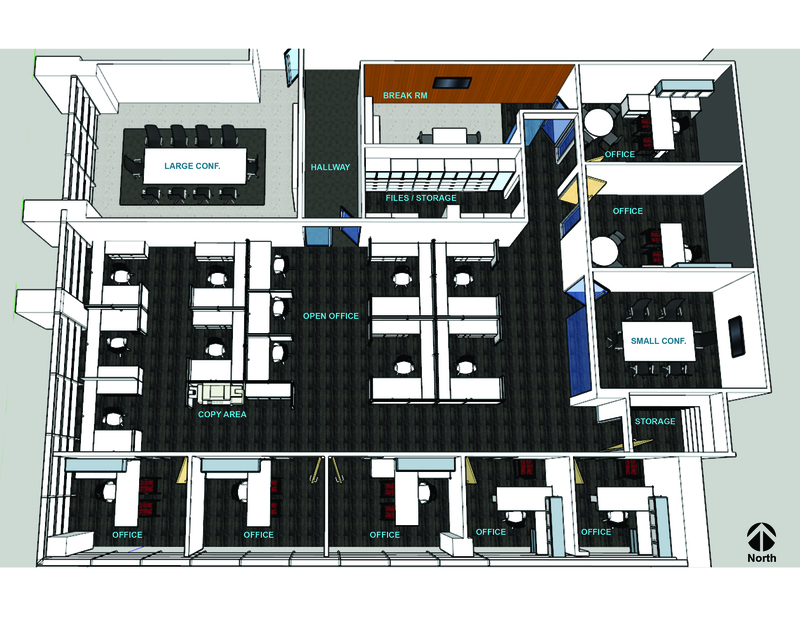 Depending on the needs of your group, Lounge Space may include low tables with sweet magazines and chairs that let the body recline and face others to open up casual dialogue. 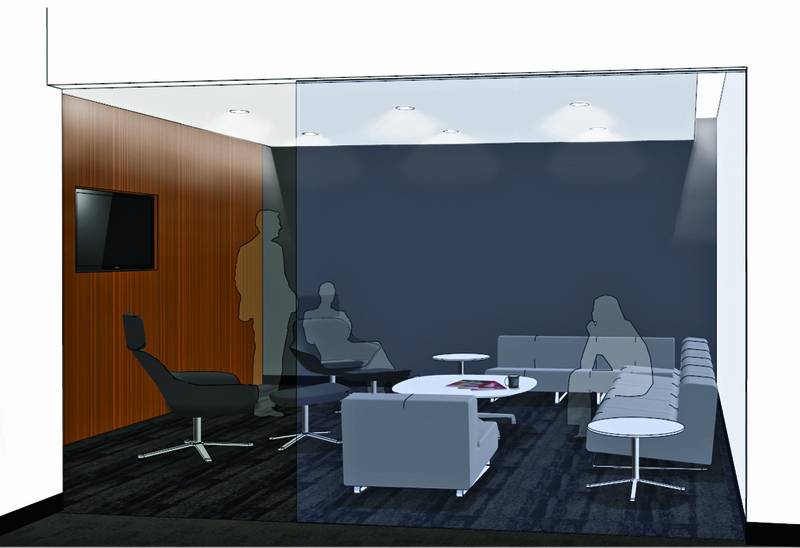 The proximity of Lounge Spaces could be near employee work areas and provide enough room to meet needs of departments that will use them. Break rooms and coffee areas can act as a Lounge Space and should be large enough to accommodate several employees at one time. I try to keep sinks and refrigerators out of the Lounge so someone doesn’t start eating a hoagie and stink up the vibe. You know it will happen. 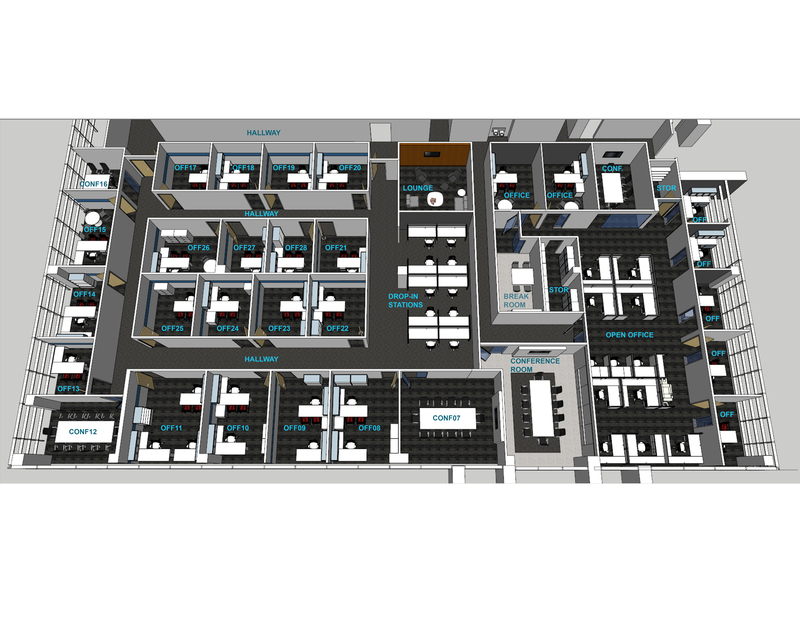 An effective office layout provides employees with the space and tools they need to complete assigned tasks. Work surfaces should be large enough to accommodate files, papers and other documents. The use of comfortable chairs and adequate lighting may reduce muscle aches and eyestrain, which can hurt productivity. If possible, place employee workstations near frequently used office equipment, such as copiers, postage machines and printers. Generally working with a systems furniture company who specializes in certain systems like Knoll, Herman Miller or Teknion can give you the most efficient space *and you will look really cool playing solitaire*. Providing an efficient workspace can also minimize the appearance of clutter if the user can organize their tasks to avoid ‘piling’ of tasks. The furniture systems can also provide a unique space in terms of finishes and fabrics, ranging from cutting edge modern to more modest designs. In an open office, employees work at communal tables or at low-walled workstations that allow them to view and interact with co-workers. However, it’s important to consider whether your employees will benefit from an open plan before you redesign your office. If your employees perform the type of work that requires intense concentration or privacy, traditional offices might be a better option. Not as efficient in terms of space, but possibly more efficient in regards to productivity. Another space to consider is drop-in stations. These are for employees that may either be on the road or work from home. 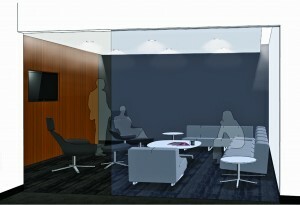 This allows for an employee to have a space in the office for temporary as needed. These spaces allow for a place to touch down, check emails, and charge all their devices. In some instances, a private drop-in space may be required. Many times an un-occupied conference room can be used, but may be in-convenient if it is used frequently. 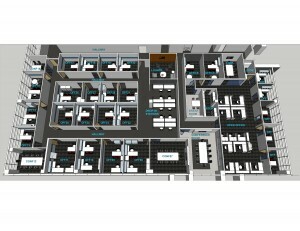 Effective office layout groups people together based on functions they perform. Grouping employees who do the same or related work will help to ensure that documents and papers will be shared and handled in a timely and efficient manner. For Example, it may make sense to group employees who process invoices close to your accounting and purchasing departments, so employees can consult with one other. If you plan to redesign your office layout, make a list of key tasks employees perform, such as speaking to customers on the telephone, handling mail or crunching invoices. The list will serve as a convenient reference when you begin planning. If the designer is familiar with your business practice and can observe the current workspace that you utilizing, this will give them an insight on ways to improve the space. This is generally called ‘programming’. You may also have to just throw out all your scratched cd’s while your at it and go digital.